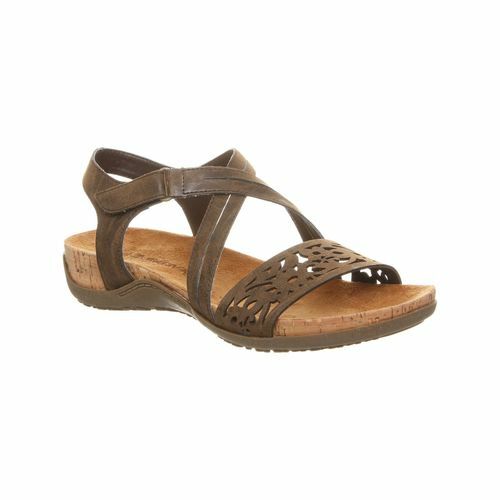 Bearpaw Glenda Women's Supportive Slide Sandal. 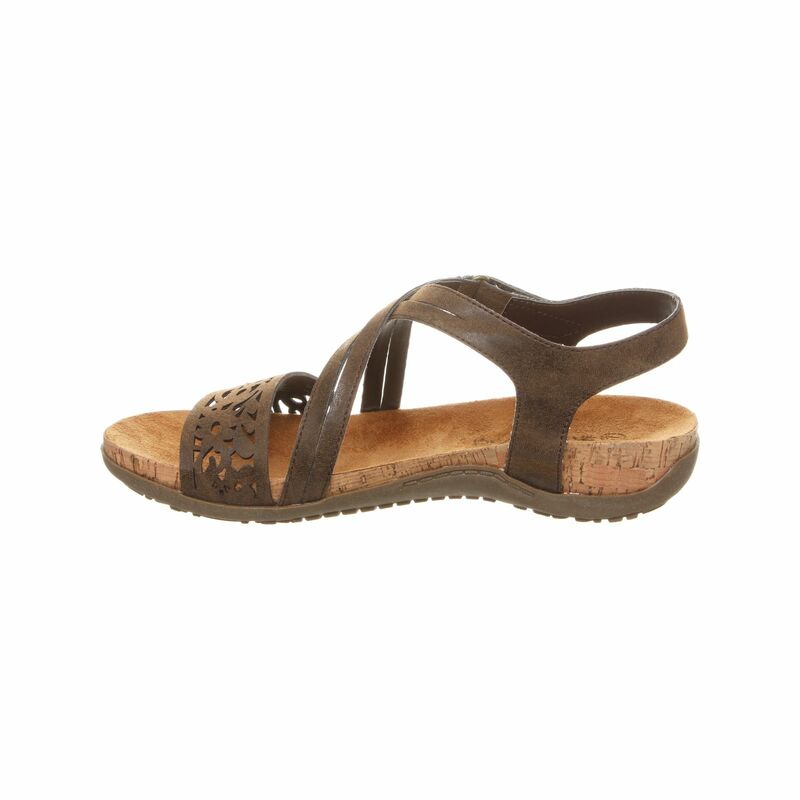 Soft faux leather upper, with floral inspired chop-out design for a modern twist. 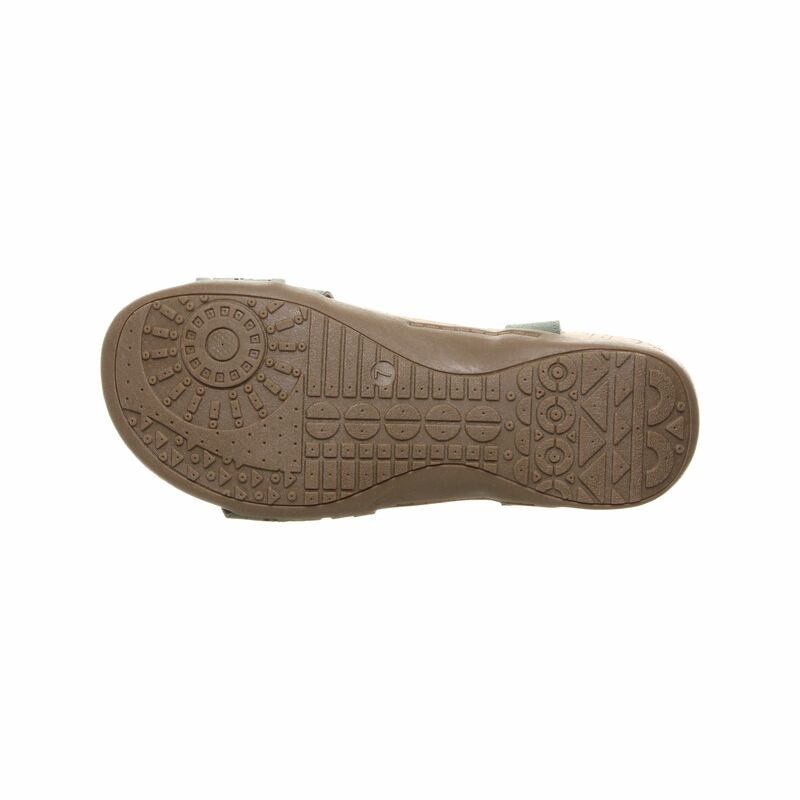 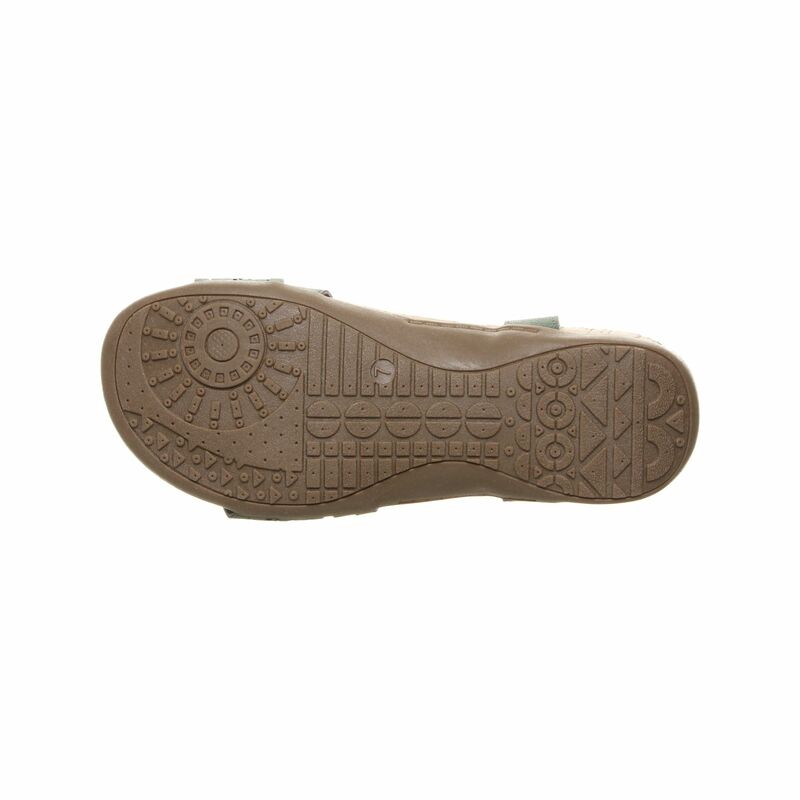 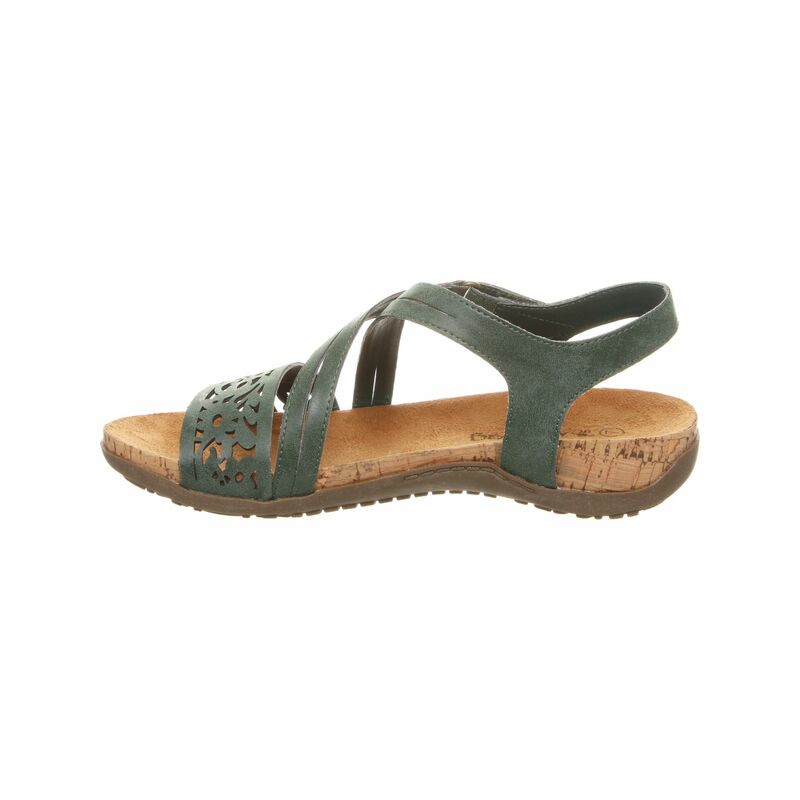 Fully adjustable hook and loop fastener ankle strap, microsuede footbed on a cork wrapped midsole and sculpted TPR outsole. 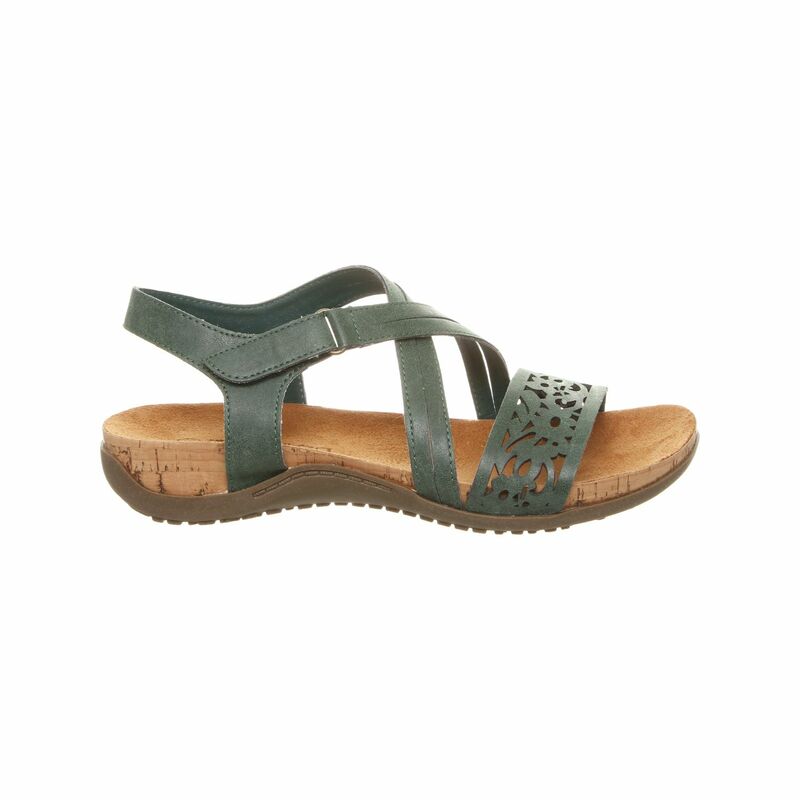 Microsuede contoured footbed for support and comfort.